KAMAISHI, IWATE PREF. 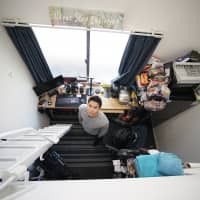 - Takeshi Nagata looks out over the pitch from the back stand of Kamaishi Unosumai Memorial Stadium and tugs at the collar of his shirt. He retired from playing rugby six years ago, but his body is still in good shape and his formal clothes look uncomfortable stretched over his compact but formidable physique. 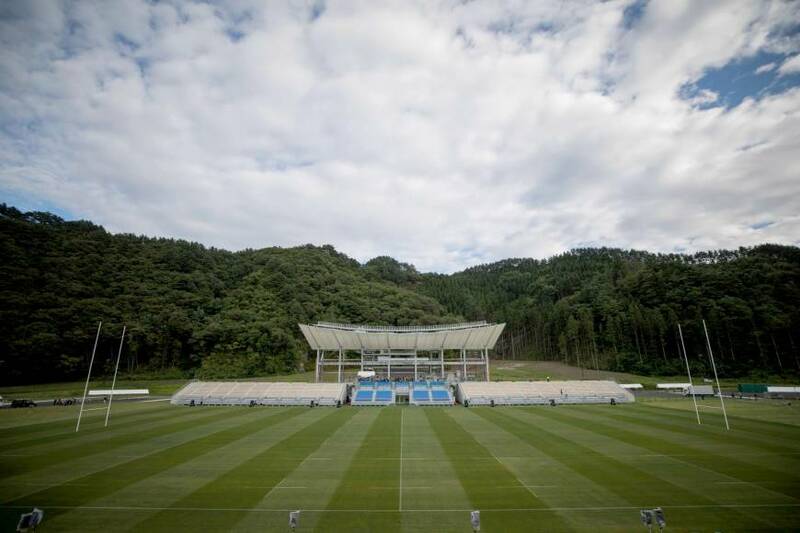 He is now an official at Kamaishi City’s Rugby World Cup headquarters, and he is busy helping with preparations for the stadium’s grand opening. In two days’ time, the local rugby club, Kamaishi Seawaves, will host Top League side Yamaha Jubilo in a game that residents of the northeastern former mining town have been looking forward to for a long time. Two years ago, the stadium wasn’t even there. The land where it now stands was once home to the local elementary school and junior high school, but they were destroyed — along with the rest of the surrounding area — by the tsunami that followed the 2011 Great East Japan Earthquake. 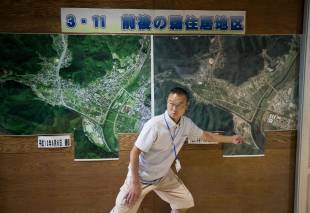 A total of 993 people in Kamaishi died in the disaster, with another 152 unaccounted for. Thirty percent of homes throughout the area were damaged or destroyed, while 60 percent of businesses were inundated with water. Many people left the city to start new lives for themselves elsewhere. 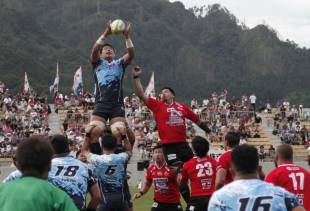 Kamaishi has made significant progress toward its recovery since then, and in March 2015 the city, which has a population of 34,087, was named as a host city for the 2019 Rugby World Cup. The new stadium will stage two first-round games, one between Fiji and Uruguay and the other between Namibia and a team yet to qualify. 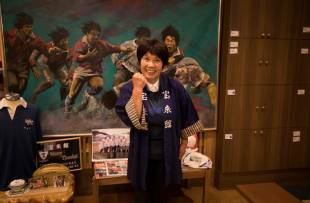 Kamaishi has a long rugby history, with the Seawaves’ forerunner club, Nippon Steel Kamaishi, winning seven straight national championships during its 1970s and ’80s heyday. Before the World Cup arrives, however, the city must first inaugurate the stadium with the Aug. 19 game between Seawaves and Yamaha. 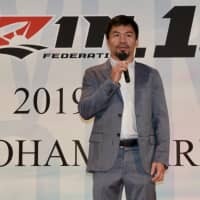 Nagata says he is feeling the pressure, but he is happy to see something that was once a dream about to become a reality. The construction of the stadium, which cost an estimated ¥3.9 billion and was largely covered by central government subsidies, began in March last year and was completed last month. It currently has a capacity of 6,000, which will be increased to 16,000 for the World Cup by the addition of temporary stands. Most of the seats are made of wood reclaimed from a cedar forest in the nearby Ozaki Peninsula. A massive fire in May last year destroyed 400 hectares of the forest, but the local government reached a deal to buy the charred trees and clean them up to use in the stadium. Running along the front of the main stand are plastic seats. The non-sequential order of their numbers is confusing at first, but can be explained by the fact that they were donated by stadiums around the country, including Tokyo Dome and the now-demolished National Stadium. Underneath the stadium are two tanks capable of holding 220 tons of water collected from the roof of the main stand. The water is used to maintain the pitch and supply the toilets and sinks, but it is also ready to be used in case of fires in the forest behind the stadium. The pitch itself is planted on a special hybrid turf including glass fiber, the first of its kind in Japan. Shimazu is not the only one hoping that the stadium will find a special place in the hearts of the people of Kamaishi. 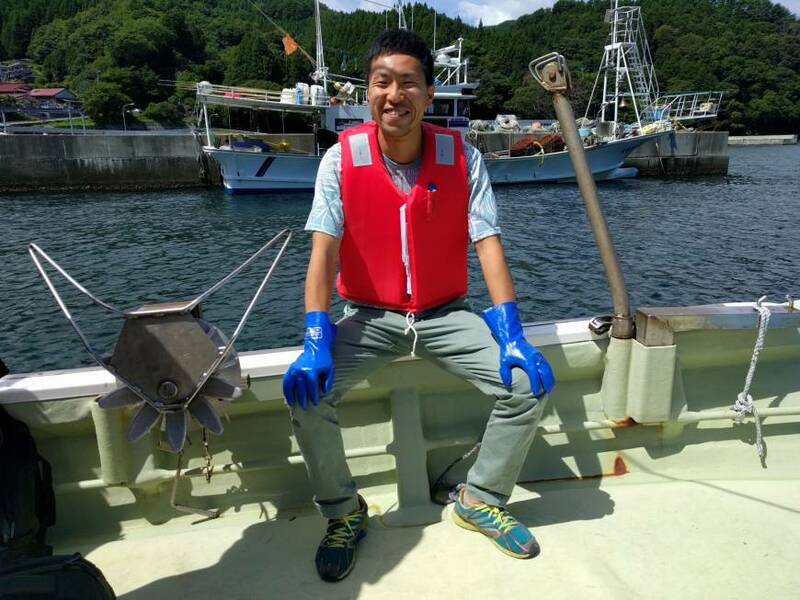 Shinya Kubo is a 27-year-old fisherman and tour guide who was born in Kamaishi but left the area to work in Tokyo. 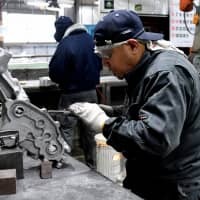 He was living in the capital at the time of the 2011 disaster, which destroyed 98 percent of Kamaishi’s fishing fleet. Kubo saw the devastation first-hand during his regular visits home, and in 2015 he decided to move back to try to make a contribution. “This area mainly catches farmed oysters and wakame seaweed, and all the equipment and machinery was lost,” he says, as he cleans a barbecue after cooking a feast of freshly caught oysters, squid and octopus for a party of tourists. “All the boats and ropes were swept away. Now, seven years later, we have new boats and the fishing industry here is pretty much back to what it was before. Little by little, the level of oyster and seaweed fishing has returned to what it was. Akiko Iwasaki is the landlady of Horaikan, a traditional inn situated about 10 meters from Kamaishi’s Nebama Beach. The first floor of her inn was completely gutted by the tsunami, and she herself was swept up and almost carried out to sea, surviving only by clinging on to the inn’s minibus. 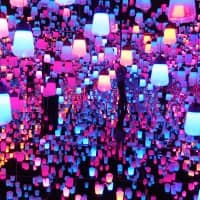 “There will be a lot of people coming to Japan because of the World Cup and the Olympics, but if people don’t visit us here it will be difficult to redevelop this area,” she says. 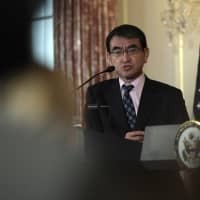 Iwasaki also explains that the reason why so few children in Kamaishi died in the tsunami was that the evacuation procedure had been drilled into them so thoroughly from a very young age. All the students who attended the junior high school and elementary school formerly on the site of the new stadium survived, although two who were absent on the day of the disaster did not. The schools have now been rebuilt on higher ground overlooking the stadium, and opened in April last year. 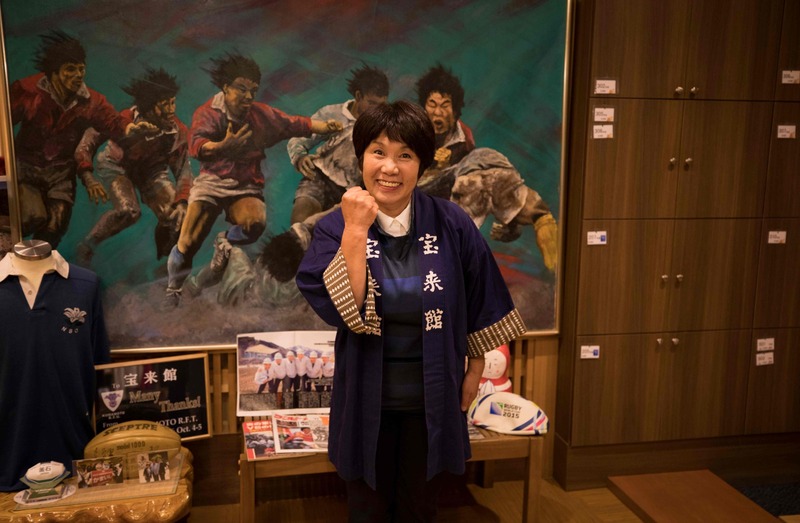 Kamaishi Higashi Junior High School Principal Kenji Sasaki talks with pride as he describes how his students took the initiative and evacuated themselves on the day of the disaster, but his voice turns to excitement when the conversation switches to rugby. 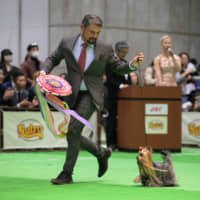 “There was extensive damage after the disaster, and there were a lot of questions about where the school would be rebuilt and how people would continue to live in this area,” says Sasaki, who as a young man traveled to Tokyo’s National Stadium to see Nippon Steel Kamaishi win five of its national titles, and even had his coming-of-age ceremony at the stadium. The students, meanwhile, are too busy learning a dance routine to think too much about the significance of the new stadium. Around 200 children, including some from nearby schools, will perform at halftime with pop group Exile, and on Saturday afternoon the schoolyard is full as they put in some last-minute practice. For all the celebration of Kamaishi’s recovery, however, there is still much work to be done. A total of 520 households — or 1,100 people — in the city are still living in temporary housing. 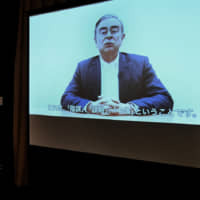 Shimazu says that Kamaishi Mayor Takenori Noda has assured him that all city-built reconstruction of public housing will be completed before the end of this year. The weather is clear on the day of the game, and the hot morning sun beats down on the line of people waiting for the stadium to open at 9:30 a.m. 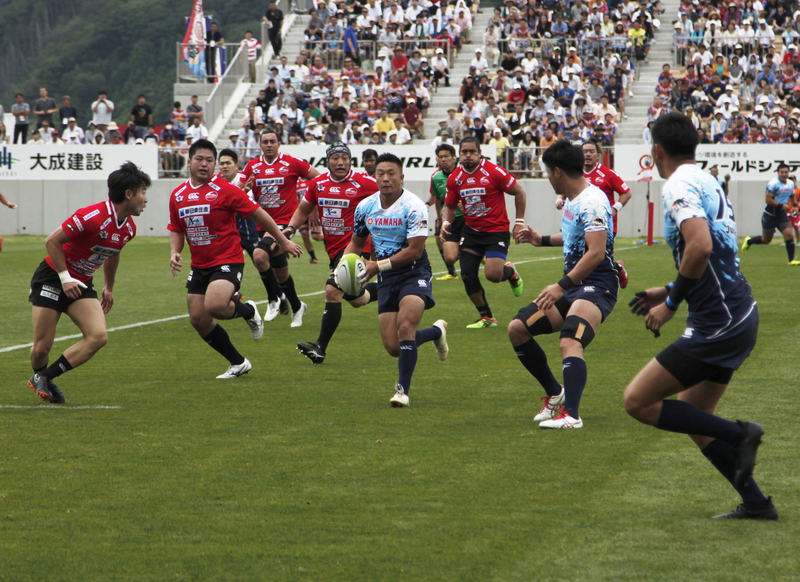 Most are wearing Kamaishi rugby shirts, although the number of Exile flags and T-shirts suggests the match itself is not the main attraction for everyone. The day begins with a game of mini rugby between children from Iwate and Yokohama, before two teams of former players from Nippon Steel Kamaishi and Kobe Steel roll back the years in a “legends” match. Yamaha has been invited to play in the main event because it was the first team to visit Kamaishi after the disaster. Star player Ayumu Goromaru is injured and cannot take part, but he does make an appearance in a game of tag rugby with a group of children beforehand. “Two months after the disaster in 2011, Yamaha came here to play the first game since it happened,” says Goromaru. “Through that we became involved in the recovery of the town, and being back here today is really important. Going forward, whether it’s the recovery or the World Cup, we’d like to be involved as much as possible. In the end, Yamaha wins the game 29-24. The second-division Seawaves struggle to keep up with the Top League visitors, but two late tries for the home team send the crowd home happy. The match has given fans a taste of what to expect from next year’s World Cup, although some already had an idea. Sixteen-year-old high school student Rui Horaguchi was invited to the 2015 World Cup in England as a “friendship ambassador” for Kamaishi, and she intends to repay the favor when her hometown welcomes the world next year. “Before I went to England, I really wanted to make sure that I improved my English,” she says. “That was my main motivation. But everyone there was so warm and welcoming to us, so when I came back I felt that I wanted to be able to give people the same hospitality here.